Young fathers with toddlers in tow and duos wearing coordinated daddy-daughter jerseys were among those who streamed through the gates of Atlanta’s SunTrust Park on a hot Friday evening, kicking off Father’s Day weekend at Delta Day with the Braves. Delta volunteers happily greeted the first 20,000 fans with Delta-branded bobblehead giveaways of Braves star Freddie Freeman. All patrons were treated to a special presentation of Delta’s stylish new uniforms by 13 frontline representatives from above and below wing. “To be on the field — it was just an amazing way to see the stadium for the first time,” said Red Coat Weikang Zhang from Atlanta who was outfitted in his Cruising Cardinal vest and blazer. Ekrem Dimbiloglu, Director — Uniform Programs, proudly tossed the game’s ceremonial first pitch. “I was honored to stand with my fellow Delta people to represent the airline and the multitude of employees who contributed to the successful launch of our amazing new uniform collection,” he said. 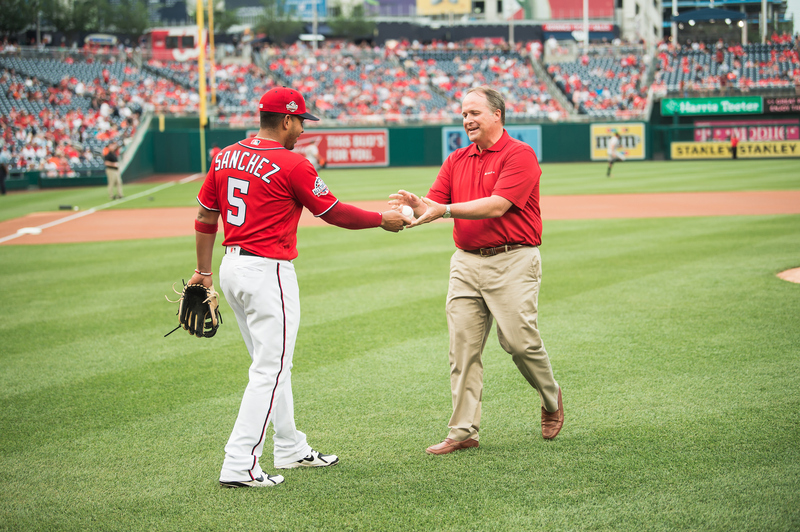 Annual Delta Day celebrations recognize the company’s partnerships with multiple major league baseball teams across the U.S. as their official airline. 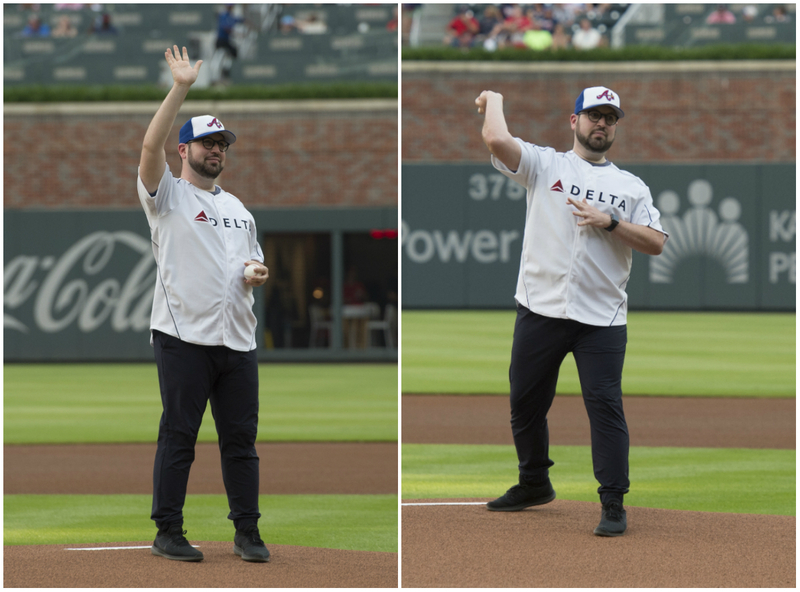 Each event has a variety of surprise delights including Delta employee-volunteers handing out memorabilia, the Delta Chorale singing the national anthem, a deserving Delta employee throwing the first pitch and thrilling firework shows. 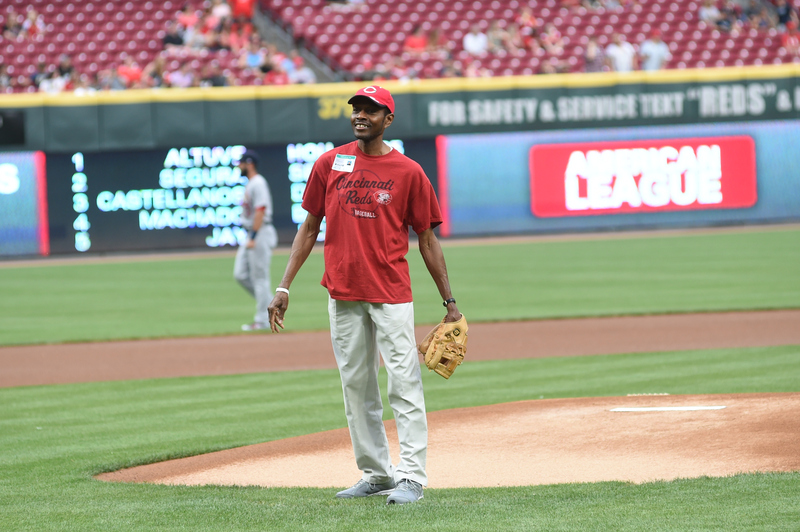 the Cincinnati Reds at Great American Ball Park where 45-year Delta veteran and CVG ramp agent Mark Zachery threw out the first pitch to Reservations agent Shawn Prather as 100 Delta employees and their families looked on. Fans also enjoyed a night of fireworks at the end of the game. The next Delta Day will be held at Citi Field with the New York Mets on June 23 where ramp agent Daniella Agostineli will throw the first pitch and the first 25,000 fans will receive a replica of the Mets Homerun Apple.